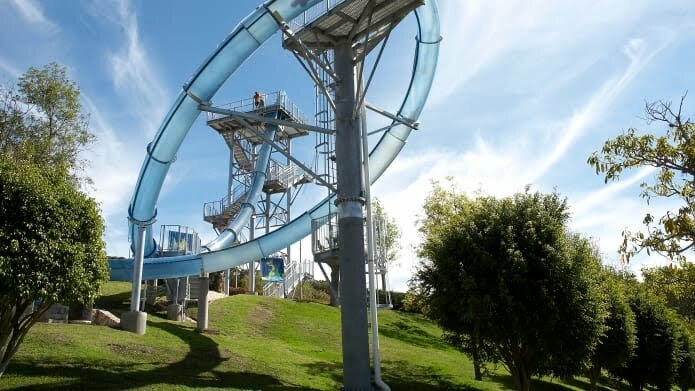 What better way to cool off during your travels than taking the plunge on a water slide with speeds of up to 100 kilometers per hour? 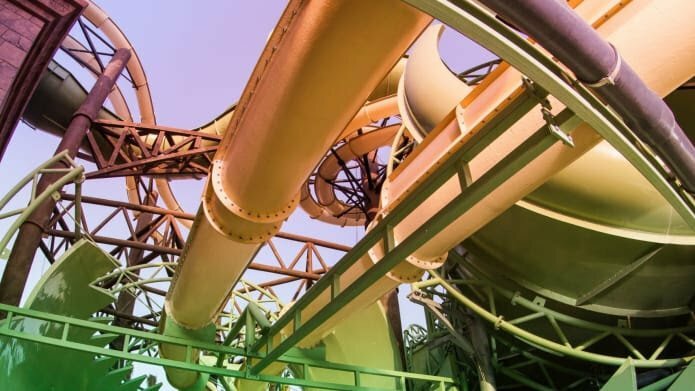 The world’s first six-person water coaster covers over three acres of the Splashin’ Safari park and has a length of just less than a third of a mile. “It’s powered with LIMs (linear induction motors), which is the same technology used for roller coasters and light rail transportation,” explains Ruth McMahon, former director at ProSlide Technology Inc.
Riders start by standing on a trapdoor. The drop that follows allows them to gain enough speed — up to 60 kilometers an hour — to make it around the loop. 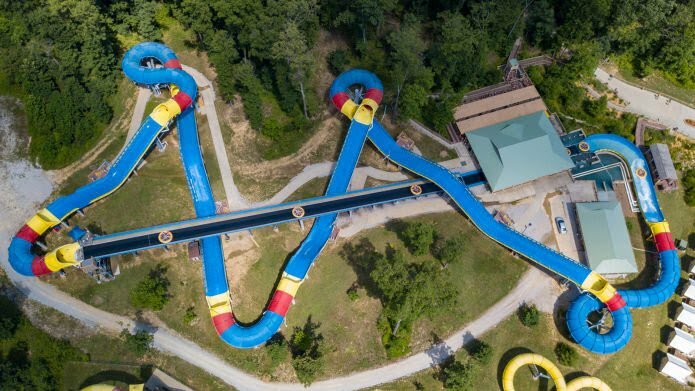 “With the unique slide path, we had to optimize the shape of the loop to maximize the range of riders that could use it while making sure no one got stuck,” says Bruce Bradley, senior engineering specialist at WhiteWater West theme park designers. 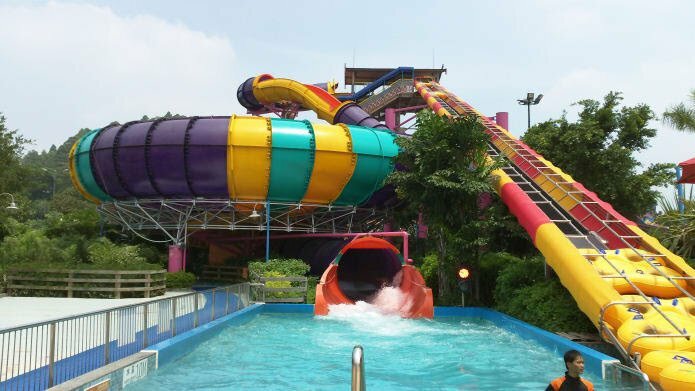 The Aquaconda is the world’s first dual slide-within-a-slide, comprising an enclosed tube slide that weaves in and out of the framework of a flume-style ride. “Before translucent technology, enclosed water slides were dark, almost industrial looking,” says Geoff Chutter, chief executive of WhiteWater West. 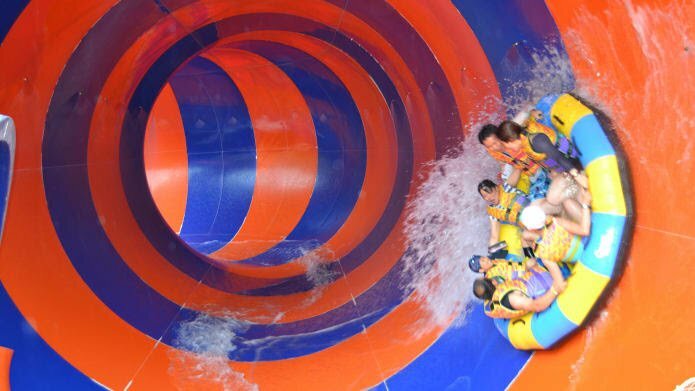 “This is the largest bowl water ride in the world, with a massive 18-meter-diameter,” explains Ruth McMahon at ProSlide Technology Inc. The world’s first hybrid zero-gravity slide features a five-story drop and a ride in a whirlpool bowl that spins around at 360 degrees. It’s based at Hurricane Harbour, which launched at Six Flags Over Georgia in 2014, replacing the Southern Star Amphitheater. 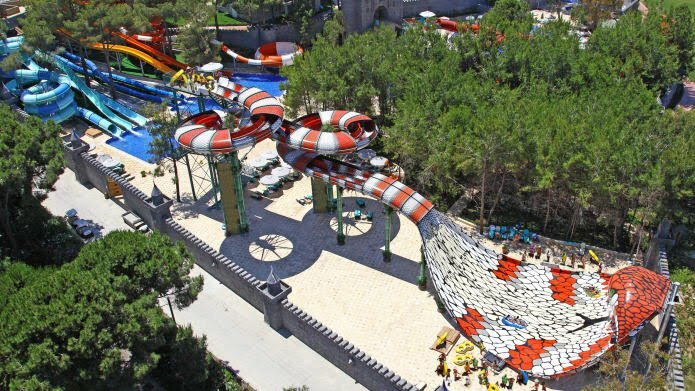 Super S Slide is one of the world’s scariest water slides thanks to its banked twists and turns, unbelievably tight corners and a six-meter-wide enclosed section that sends riders flying up the sides. “We maximized wall height while eliminating turnover risk,” says Bruce Bradley of WhiteWater West. 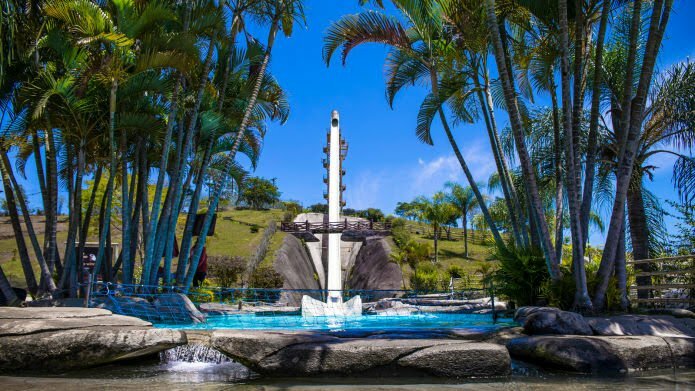 Currently the world’s tallest water slide, it reaches speeds of nearly 100 kilometers per hour and is definitely not for the faint-hearted.